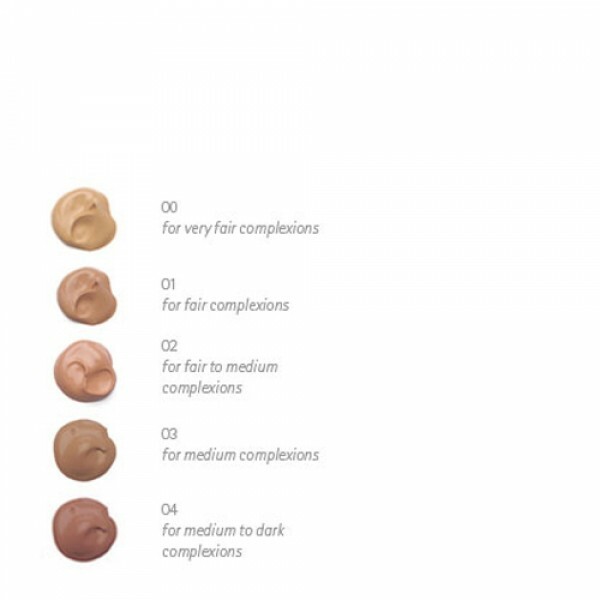 For very fair complexions, medium coverage with a matte finish. Offers natural coverage and flawless skin all day. It evens the complexion and has soothing and protective properties. Has lovely herbal scent from the healing and protective ingredients. 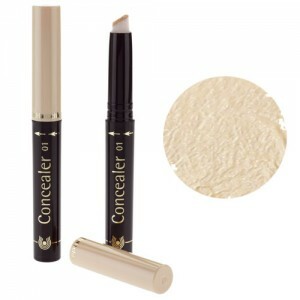 Use in conjunction with Concealer or for spots and acne skin conditions try Pure Care Cover Stick. Non Comedogenic. 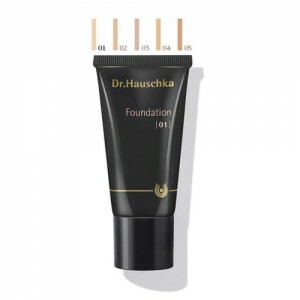 Dr.Hauschka's Translucent Make-up gives natural coverage and a smooth look, evening skin tones without disturbing skin function. It evens the complexion and has soothing and protective properties. 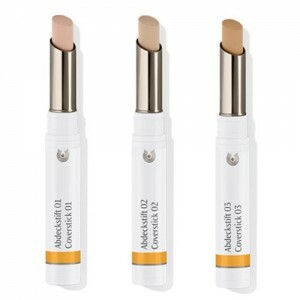 Use in conjunction with Concealer or for spots and acne skin conditions try Pure Care Cover Stick. FOUNDATION 00 AND 04: Water/Aqua, Alcohol, Anthyllis Vulneraria Extract, Daucus Carota Sativa (Carrot) Root Extract, Macadamia Ternifolia Seed Oil, Persea Gratissima (Avocado) Oil, Simmondsia Chinensis (Jojoba) Seed Oil, Glycerin, Althaea Officinalis Leaf Extract, Cetearyl Alcohol, Hamamelis Virginiana (Witch Hazel) Extract, Prunus Armeniaca (Apricot) Kernel Oil, Butyrospermum Parkii (Shea Butter), Rosa Damascena Flower Wax, Beeswax/Cera Flava, Fragrance/Parfum*, Limonene, Linalool, Citronellol, Geraniol, Coumarin, Citral, Benzyl Benzoate, Eugenol, Bentonite, Xanthan Gum, Sodium Cetearyl Sulfate, Silica, Iron Oxide/CI 77491, Iron Oxide/CI 77492, Iron Oxide/CI 77499, Titanium Dioxide/CI 77891 FOUNDATION 01, 02, 03: Water/Aqua, Alcohol, Anthyllis Vulneraria Extract, Daucus Carota Sativa (Carrot) Root Extract, Macadamia Ternifolia Seed Oil, Persea Gratissima (Avocado) Oil, Simmondsia Chinensis (Jojoba) Seed Oil, Glycerin, Althaea Officinalis Leaf Extract, Cetearyl Alcohol, Hamamelis Virginiana (Witch Hazel) Extract, Prunus Armeniaca (Apricot) Kernel Oil, Butyrospermum Parkii (Shea Butter), Rosa Damascena Flower Wax, Beeswax/Cera Flava, Fragrance/Parfum*, Limonene, Linalool, Citronellol, Geraniol, Coumarin, Citral, Benzyl Benzoate, Eugenol, Bentonite, Xanthan Gum, Sodium Cetearyl Sulfate, Iron Oxide/CI 77491, Iron Oxide/CI 77492, Iron Oxide/CI 77499, Titanium Dioxide/CI 77891, Ultramarines/CI 77007 *purely from essential oils and plant extracts - does not contain synthetic fragrance. Use in the morning after cleansing, toning and moisturising. Apply sparingly to the face and neck using the fingers or a damp make-up sponge. The best place to always test a foundation is on the jaw line down toward the neck. It blends with your skin tone and if you can no longer tell it is there, it is the correct one for you.